The time at first pitch was more appropriate for brunch than for a baseball game as Jose Reyes stepped up against Nationals pitcher Joe Ross in Washington at 11:05 a.m. on the Fourth of July. Unfortunately for the Mets, despite Reyes’ leadoff homerun, the game against the Nationals was about as satisfying as a brunch without a bacon tray as the division leaders swatted away the Mets by a score of 11-4. In taking the first two games of this three game series, the Nationals opened up an 11.5 game lead over the third place Amazins, who have dropped three straight games to fall to 38-45 after seemingly breathing new life into their postseason prospects by winning seven of eight games, albeit against mostly meager competition. The All-Star break follows the Mets upcoming weekend series in St. Louis against the Cardinals, after which they’ll spend the second half of July trying to get back into contention. 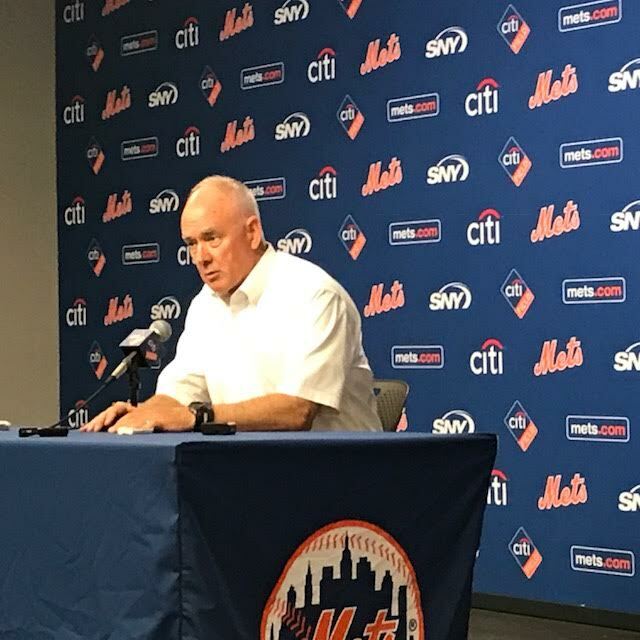 How they play over that stretch may determine whether GM Sandy Alderson needs to dig deep into the farm system for prospects to trade in exchange for veterans who can help over the stretch run or whether the Mets look beyond 2017 and have a yard sale of their own veterans at the July 31 trade deadline. The Rockland County Times covered the aforementioned Mets-Phillies match-up on June 30 and while the sleep deprived Mets were understandably scarce on the field prior to the game to accommodate their late night/early morning flight back to New York after an extended road trip, we did catch up with two people, Phillies bench coach Larry Bowa and Jarrett Allen of the Brooklyn Nets, on the opposite ends of a few of spectrums. 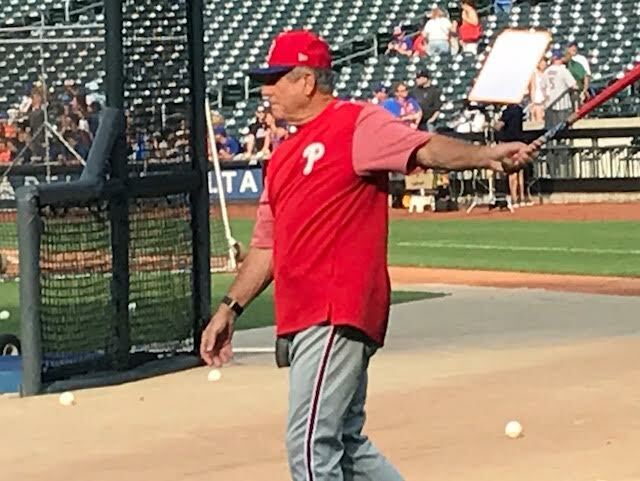 More than forty seven years after he made his major league debut as a shortstop for the Phillies enroute to a career that would earn Gold Glove awards, All-Star selections, and a championship ring, the 71-year old Bowa was still hitting grounders to players during infield practice and pitching batting practice. 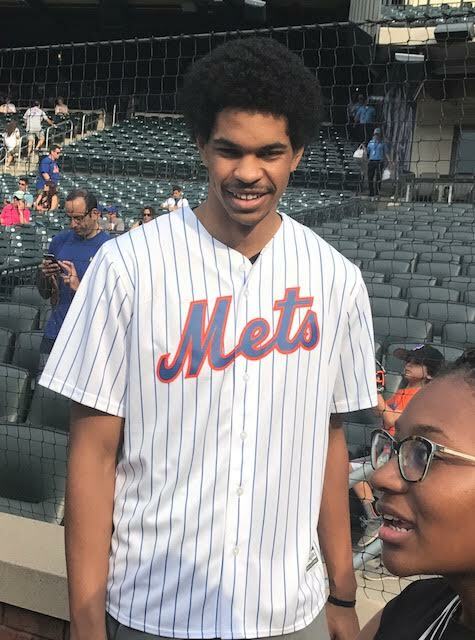 Across the field on the Mets side of diamond standing a foot taller than Bowa at 6 feet 10 inches and 52 years younger, was Allen, the first round pick of the Nets wearing a Mets jersey. The 19-year old former center at the University of Texas was greeting fans and getting ready to throw the ceremonial first pitch. I asked Allen about the hip injury that will keep him out of the Las Vegas summer league and he said it was nothing serious. Chatting with Bowa near the Phillies dugout, the former All-Star shortstop said he still enjoys working with young players and was realistic about the Phillies poor record this year, stating that it’s not easy when a team goes through a rebuilding process. Bowa, who was a productive offensive player with 2,191 hits despite only 15 career homeruns, was somewhat dismayed at the current emphasis on homeruns in the game and especially the greater acceptance of strikeouts by batters. Bowa, who spent four full seasons in the minor leagues, said many players today get rushed to the major leagues and then need to learn the “fundamentals” of the game at the major league level “in front of 30,000 people.” As for sabermetrics, this baseball lifer said a lot of these statistics essentially confirm what you can observe by watching a player and he also noted, “Sabermetrics don’t measure heart” in a player. Bowa, a fiery player and later manager, who attained a standout 16 year major league career after not even being selected in baseball’s amateur draft, certainly had plenty of heart.